* 12 People . . .
* 11 Places . . . The Arts Centre began life as a seamen’s mission. 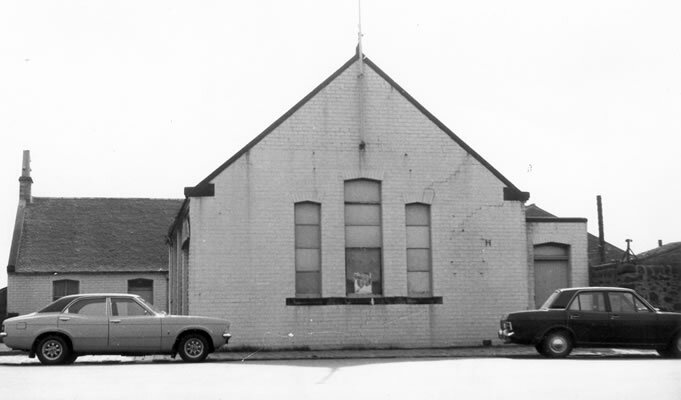 Local benefactors, the Mure family , opened the Mure Mission Hall in 1888, with George Duncan as missionary, and it soon became a popular venue . In the 1891 census, George Duncan is living in the cottage beside the hall. In the 1901 census, he is at 22 Bridgegate as a ‘shoe merchant’, quite possibly to make ends meet, having a family of eight children. At his death in 1908, he is again recorded as 'missionary'. The ground on which the Hall and cottage were built  was described in 1888 as “that piece of ground through which the Railway from Shewalton Colliery sometime passed” – another detail concerning harbourside heritage. An eminent Irvine-born man once lived here. 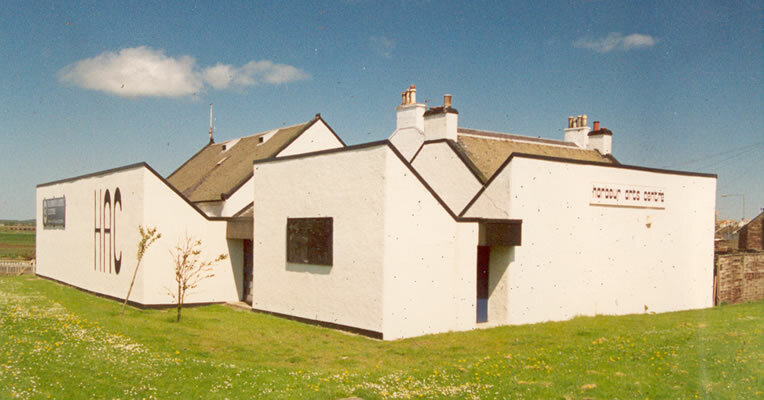 The missionary’s son, Andrew Rae Duncan, born in 1884 at 8 Waterside Street, was educated at Loudoun St Primary, Irvine Royal Academy, Glasgow University (LL.B.) and Dalhousie University (LL.D. ), Halifax, Canada. His business career (see the Duncan article on this site) led to the post of Coal Controller, a knighthood (1921), and a Canadian Government appointment to study the Coal Industry in Nova Scotia. In 1926, he attended Irvine Burns Club Centenary Dinner and in 1927 was the Club President. Other inter-war appointments led to a post in Churchill's wartime government as President of the Board of Trade and Minister of Supply. Designated, though not needed, as an emergency mortuary for any wartime casualties in 1940, it became a Scout Hall, 'Barnett House', in 1946, when the 1st Ayrshire Boy Scouts bought the premises for £800 from the new trustees (four local ministers) of the Perceton Mission Trust. Its new name honoured both Col. Hugh Barnett, V.D., President of the Ayr County Scout Council, a 1908 pioneer of Scouting in Ayrshire, and his only son, James, a late Patrol Leader in Ayrshire Troop No. 1 (Irvine), who fell in action at the Dardanelles on 12th July 1915, aged 20, whileserving as a 2nd Lieutenant in his father’s regiment, the 4th Battalion Royal Scots Fusiliers. In later Arts Centre years, the mis-spelling Barnet House became prevalent, through the reason for the name being forgotten. Then – a commercial phase. David Allan (Knitwear) Ltd of London bought the building for £600 in 1954. Knitwear was an Irvine growth area at that time, when one or two knitting machines could produce cloth which was then despatched to a series of home workers for different processes, then returned for finishing off before selling. See another page for more on Irvine knitwear. This use of the building also lasted less than ten years. In 1965, plans for Irvine New Town prompted the formation of a “New Arts Group”, seeking to foster participation in the arts. 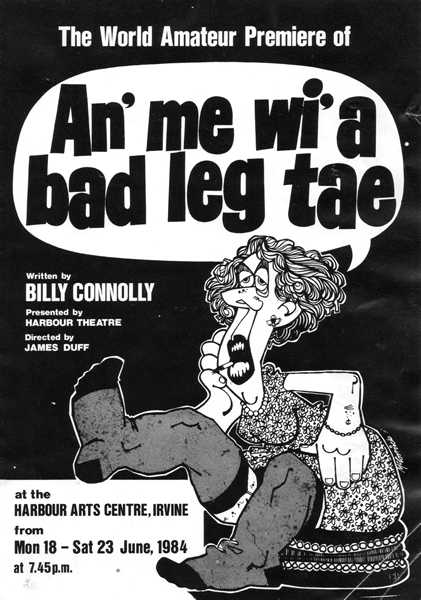 A visit to Cumbernauld Arts Centre prompted a search for premises. In great excitement one day, their Secretary Ian Clark told his wife Edith about seeing inside the old mission hall strewn with the remains of a knitwear business; her reply was “You’re crazy!”. Things then moved fast. 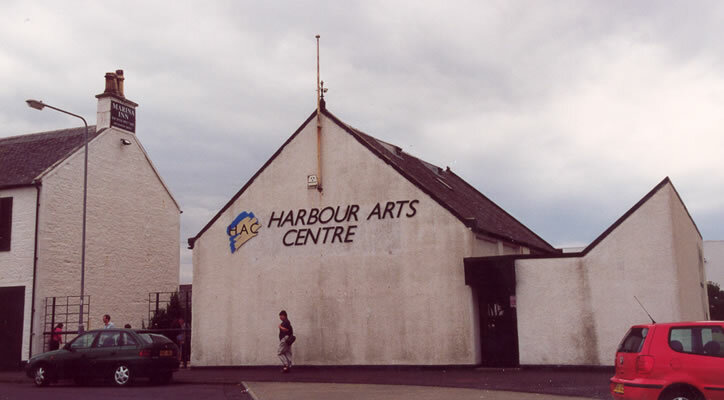 The Royal Burgh of Irvine bought it (for £3,058 16/-) so that the renamed Harbour Arts Group could establish an Arts Centre. The District Council, through its Clerk, Jack Ramsay (for many years Registrar at the Registry Office in Bank Street), was a strong supporter. The Group’s first Chairman was Walter Shields. The strong link between the WEA (Workers’ Educational Association) and the Arts Group assisted with initial programming of art exhibitions, lectures, and music and drama events. 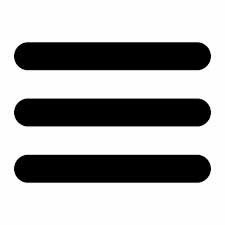 The first H.A.C. event was on 19 May 1966 – poetry by Willie McIlvanney and folk guitar by Eddie Gillett. Kirsty Wark appeared in Harbour Theatre’s production of ‘The Crucible’ in 1971 (as Abigail). 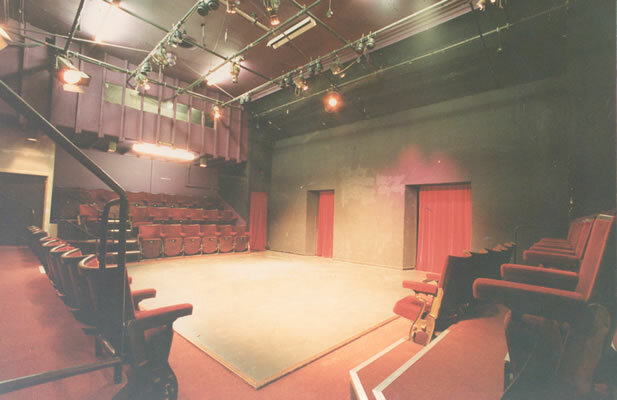 Borderline Theatre Company was established by the Arts Centre and resident there for its first four years from 1974. 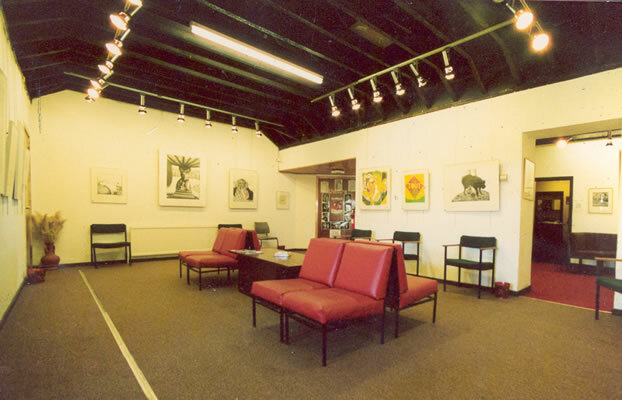 Works gifted to the Centre by sculptor George Wylie used to hang in the bar area. To allow the goddess Iris to fly in during a Greek comedy, a hole was cut in the theatre ceiling (and may still be visible). The “Still Life” set had real grass which needed watering. Hundreds of highlights could be recorded here, but we refer you to www.irvineburnsclub.org/irvine/hac where you will find a detailed account of the years 1966-2007. Enjoy! – because the achievements of the forty years of voluntary committees ensured that the arts had a long-term home in the town of Irvine. The Centre passed from the Royal Burgh to Irvine Development Corporation in 1972. Two major renovations took place, the first in 1973-74, organised by the voluntary committee, and , . The first included new dressing rooms and a bar, and much of the work was done by the volunteers. In the 1980s the entrance (then on the east) was enlarged to cope with wind. 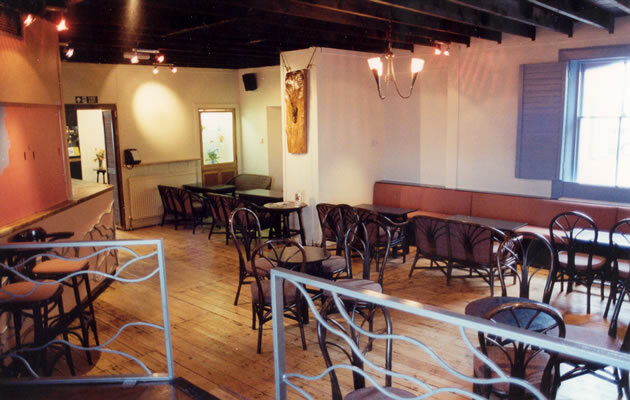 The photos show the rear, the street front, the theatre, the gallery, and the lounge bar in about the 1990s. A second major renovation in 2004-07, organised by North Ayrshire Council, included the new entrance on the west, a new technical gallery, and restaurant, with all the work being contracted. Both renovations improved the gallery areas. 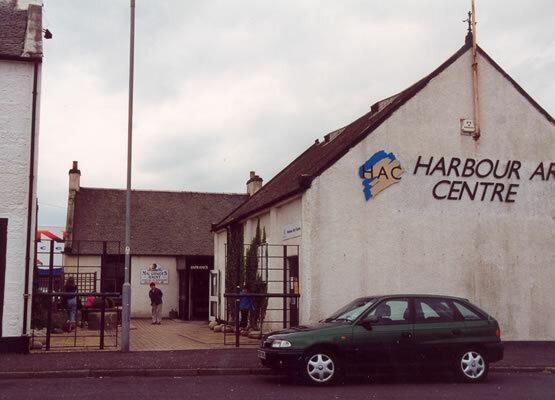 Voluntary committees managed the Centre from 1965, and North Ayrshire Council from 2003, though, as the web history of the Centre records, there has been much public assistance and goodwill throughout the Centre's life. The commitment by voluntary committees in the Centre's first 38 years not only demonstrate the conviction of local residents that both viewing and partcipating in arts activities are essential elements of a town’s life but also supplied the foundation on which today's successful Centre is based. Patrick Boyle Mure McCreadie (1800-68), local JP and landed proprietor, of Perceton, developed the Perceton coal pits in the 1850s, even laying a tramway to Townhead (Strawhorn, ‘History of Irvine’, p.141). A son of Thomas Mure of Warriston, and of Helen Boyle of Penpont, Dumfriesshire (though we see no connection between her father Patrick Boyle and the Hon. Patrick Boyle of Shewalton), this Edinburgh advocate married Rachel Ann Macredie of Perceton in 1835, taking on her surname, as the Macredie family had bought Perceton from the Barclays in 1720, and his bride's father John was deceased. After his death, his family dropped the Macredie surname, and used their father's. In 1888, Mrs Rachel Anne Mure McCreadie, his widow, and her daughters the Misses Mure (Mary Rachel & Helen Jane) established the Mure Mission Hall. When Mrs McCreadie died in 1892, her third share passed to her daughters - they also supported both Fullarton and Irvine Free Churches (the latter renamed the Mure United Free Church in 1900). On the death of her sister Mary, aged 76, in 1912, Miss Helen J Mure became sole owner, and in 1914 ownership of the Shore Mission Hall passed to the Perceton Mission Trust (with Miss Mure becoming a Trustee). The ownership information is from the title deeds. In 1846, the land passed into the hands of the Hon. David Boyle of Shewalton, Lord Justice General of Scotland, who owned land to the south. The 1888 purchase by the Mures was from Captain D Boyle, of the Pavillion [sic], Ardrossan, grandson of the Hon. D. B..